Local Bridges / Docks | Capt Tony's "Walkingangler.com"
2 – Washington Baum Bridge – known as Wildlife Pier or Pirates Cove Bridge – Fishing area is under the bridge at the base of the western span on the Washington Baum Bridge. 3 – Herbert C. Bonner Bridge – known as the “Bonner Bridge or Oregon Inlet Bridge. 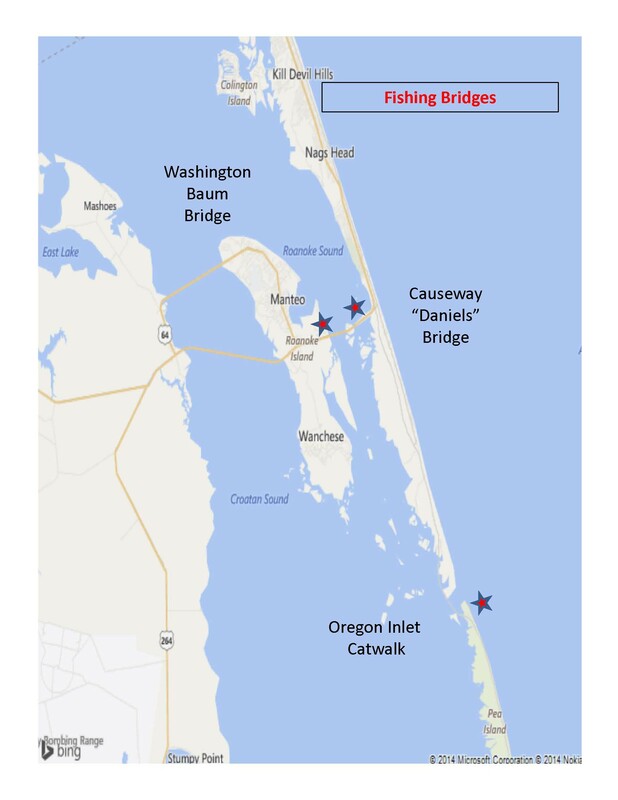 – fishing area is locate on the south east end on the Bonner Bridge.